It has been a bit silent from my side for a few weeks, it has it´s reason. As you know have the built start going forward and the digging is on going. When the reached the depth for the house where there some problems. Every one you speak to about the soil condition and it it will be hard to get a solid ground said that it is mostly sand and it is dry. That is true for the first meter of soil is it nice coarse sand. But bellow that is is very fin grid sand that. So when they dug out roughly 1-1,5meters the saw this very fin sand. The sand it self is good material but when you mix it with water it becomes a liquid which is not good to place a house on. 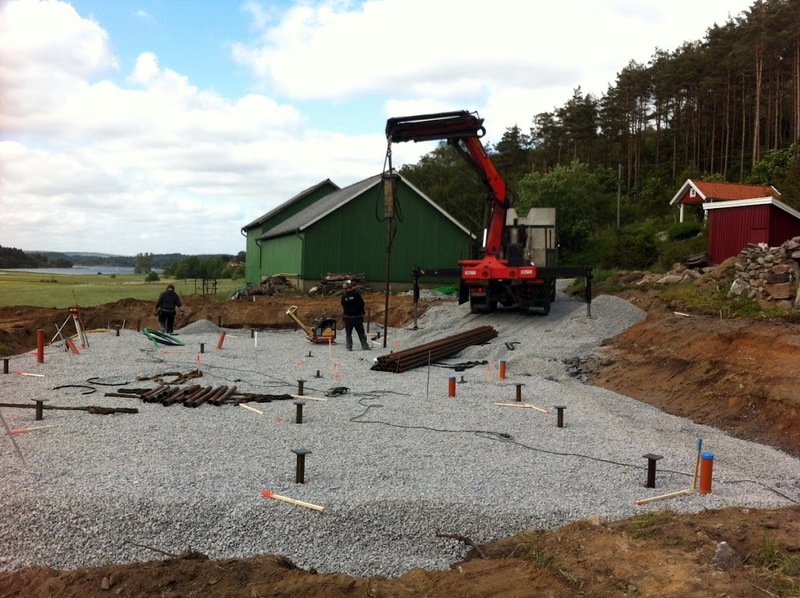 So our option was to give the house legs that rest on the rock or the correct therm piles. This is a big change on the slab for the house it has to be reinforced and the piles need to be calculated for the correct position. 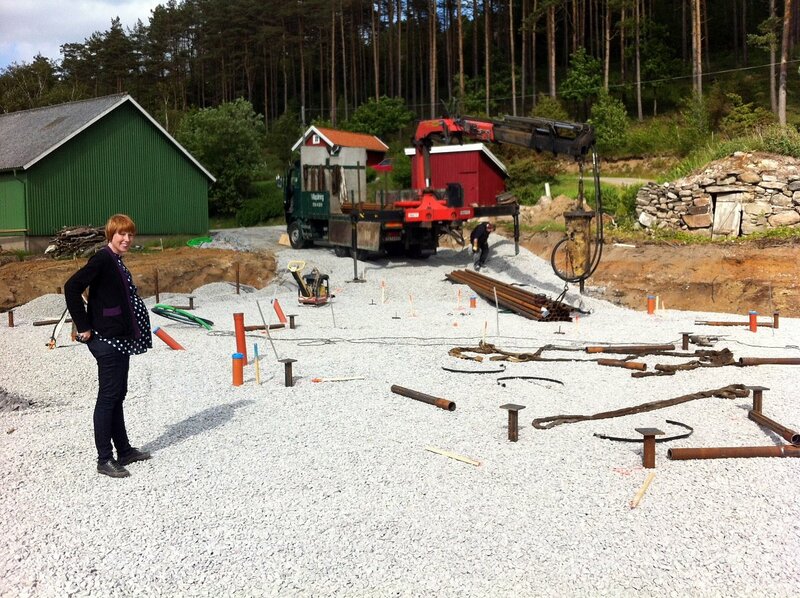 I have to thank HM-hus and Svenning Ritkontor for there fast work with the drawings and planing. Also we need to get a guy how can put the piles in the ground on short notice. Luckily did HM-hus have a good contact that help us out yesterday evening, thanks Pålbilen! The biggest problem with piling is that you pay for the meter piles they put in to the ground. 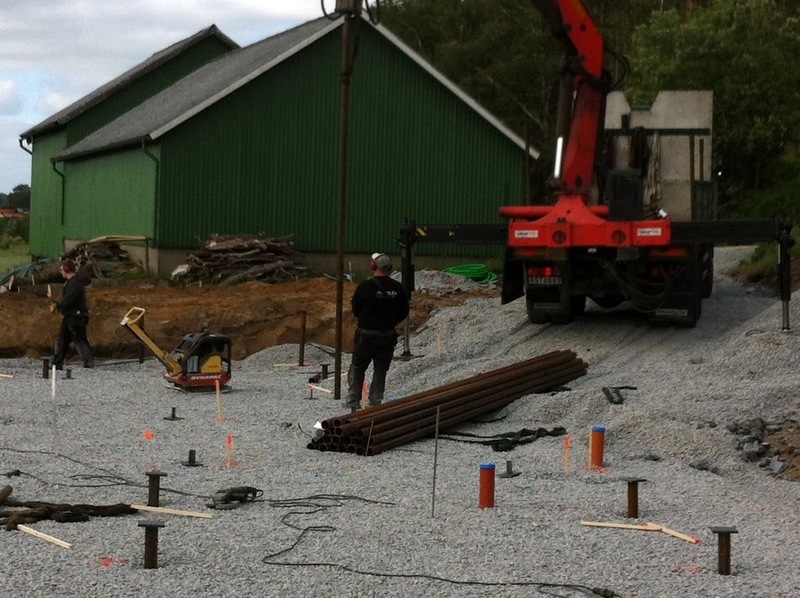 Our house is fairly complex and needed 30 piles which is allot. So it is 30piles x depth to rock => meter of piles. It is very hard to know how deep it is to the rock. I can be honest and say that this cause me some bad nights with little sleep. So yesterday was the big day when we would found out how deep it was to the rock. I think we can call our self lucky under the circumstances because it was an average of 7 meters. I sleep well this night my worst fears was that it would be 20meters or more and that is allot of piles and the cost would fast grow. So now can the build continue again. Here are some pictures of the piling work. The diggers have also started with the sewer system. 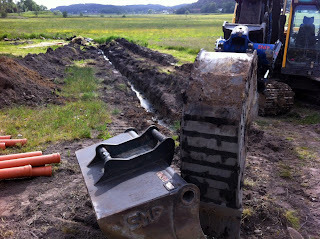 Because the house is on the country side is there no municipal sewers so we have our own small wast treatment system. 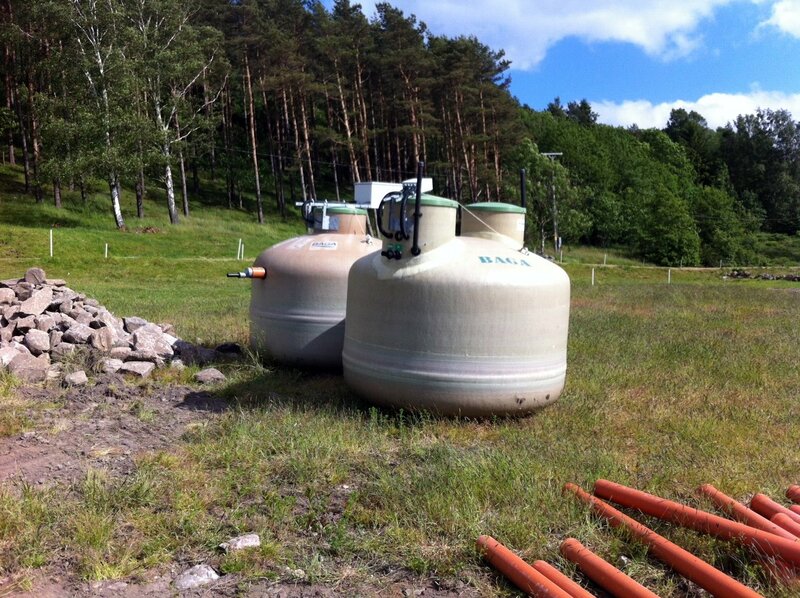 It is to big cylinders that have some chemical flocking and a after chamber for reducing the remaining nitrogen. The water coming out of the plant will probably be cleaner then the water in the stream that we will release it in.